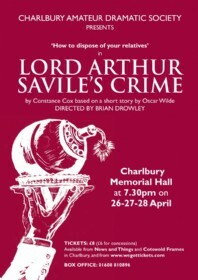 Lord Arthur Savile discovers that he has to commit a murder before he can marry. But who...and how? Based on a short story by Oscar Wilde the action follows the hapless Arthur as he tries to murder one relative after another. 81 Photos. Click thumbnail images to enlarge.